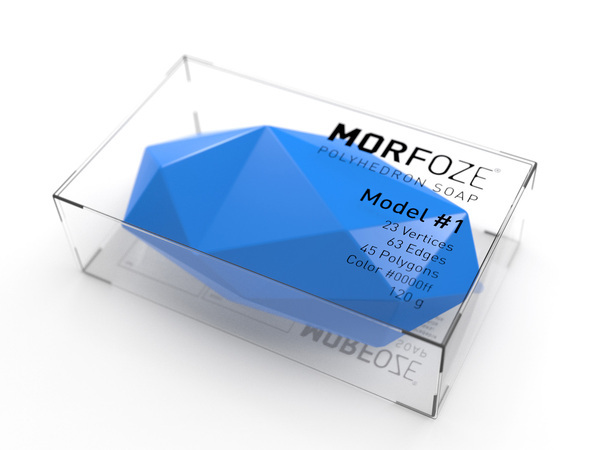 MORFOZE isa hard soap concept, which surely will be liking to all who have had to facethe principles of 3D-modelling software, designers, modellers, engineers andpeople who like everything unusual, everything that makes our life moreinteresting. Thispolygonal soap is odour-free, as everything that exists in the virtual space,and it illustrates the form transformation, its smoothing and conversion - allthat refers to the processes of creatingand editing objects in three-dimensional programs. 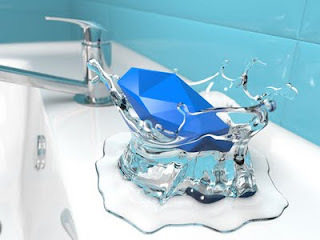 In spite of all this"game" it doesn’t lose its main function to clean and moisten the skin.